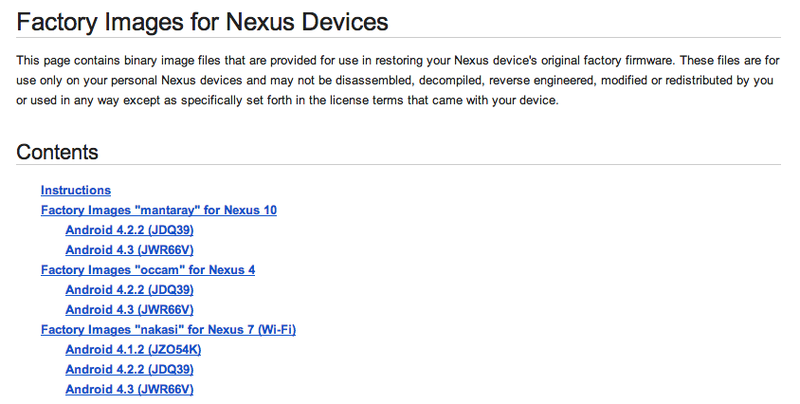 And just like that, we’ve got Android 4.3 (JWR66V) factory images already available for the Nexus 4, Nexus 7 (WiFi and HSPA), Nexus 10, and GSM Galaxy Nexus (takju and yakju) variants. If you don’t want to wait for the OTA to arrive or a .zip to flash, you can always flash factory images in adb. These do wipe your phone though, so keep that in mind.